Snowdrift Shortening Sign, a photo by joespake on Flickr. 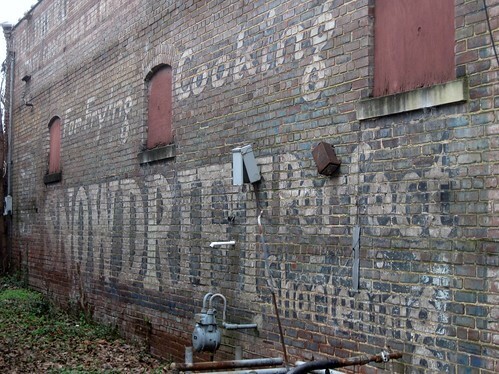 1661 Lamar, Memphis - Building sign, circa early 1920s - Snowdrift Perfect Shortening. I think my grandmother used this stuff. i love seeing old signs like this. i wonder why selling the side of your property for advertisements isn't so prevalent anymore. John, I think "artistic" building wall ads could certainly brighten up some of the city's blighted (or boring) areas. Just something pleasant - not like billboards. This sign has been painted over.